Ok, PicLens must be the most “funky” extension I’ve ever tried for Firefox. 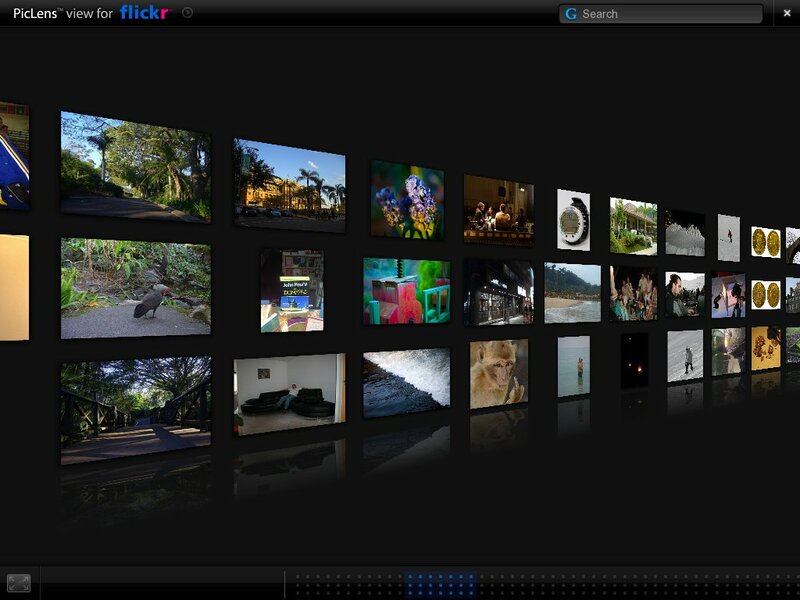 It “enhances” web 2.0 picture sites like Google Image Search and Flickr with “Immersive Slideshows” as they call it. It has to be tried, really. This page contains a single entry by beaufour published on February 14, 2008 1:17 PM. Valentine's ... was the previous entry in this blog. Tokyo Flash watches is the next entry in this blog.